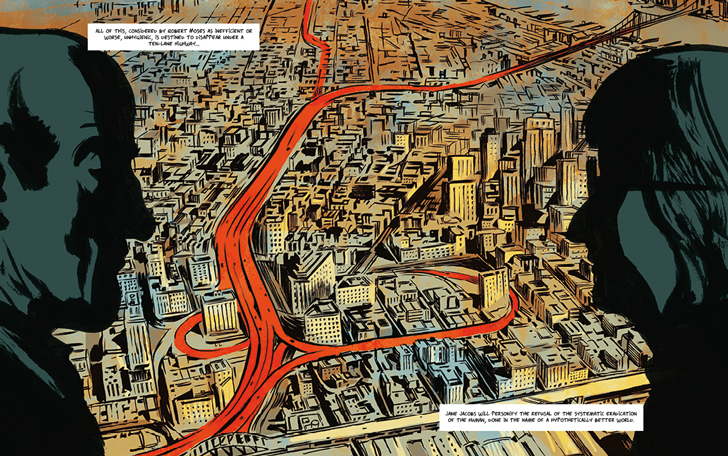 Love him or hate him, Robert Moses left an indelible mark on New York City’s urban infrastructure. 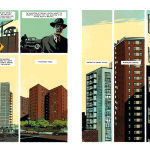 Most of us formed our opinions on the city’s master planner after reading Robert Caro’s Pulitzer Prize-winning book “The Power Broker.” But if you’re looking for a lighter (in both senses of the word; Caro’s book weighs 3.3 pounds) read on Mr. Moses, you may want to check out the new graphic novel “Robert Moses: The Master Builder of New York City.” Created by French writer Pierre Christin and Chilean artist Olivier Balez, the “anti-hero comic” is the perfect dramatic portrayal of Moses, both celebrating and criticizing his contributions to the city. 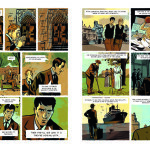 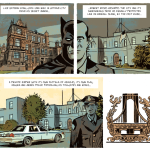 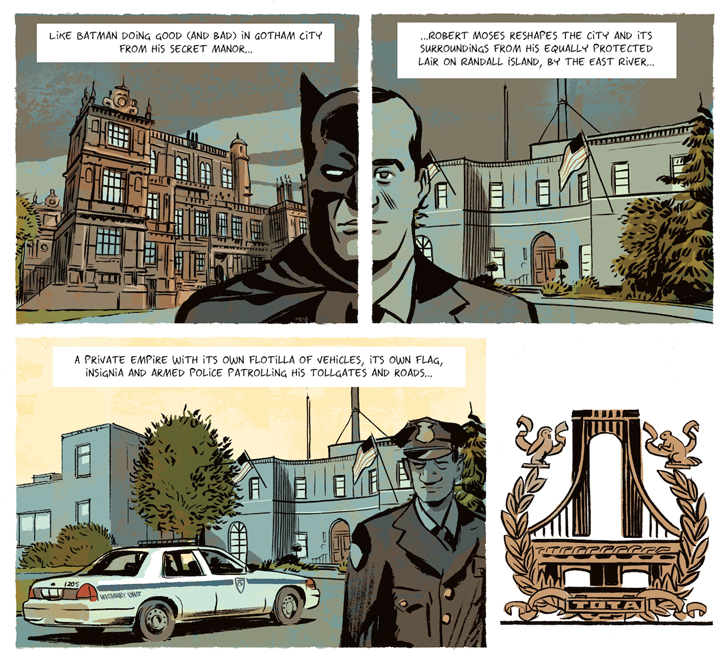 Drawn in a retro style with a rust color palette, the novel makes some humorous yet appropriate depictions of Moses, painting him as Batman in Gotham City and comparing his office on Randall’s Island to Bruce Wayne’s secret hideout. 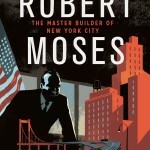 But despite its comical appearance, the book gives an accurate overview of Moses’s many projects, from those mostly celebrated like the Triboro Bridge and McCarren Park, to those that were so widely opposed they never became a reality, such as his proposed highway through Washington Square Park . 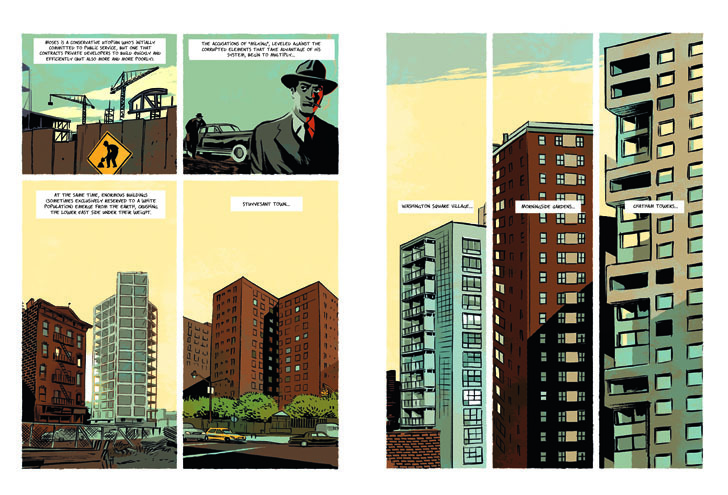 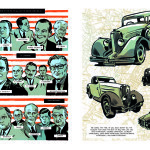 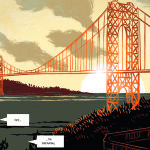 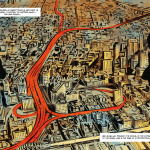 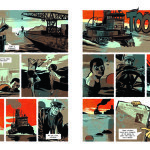 “Robert Moses: The Master Builder of New York City” was released by Nobrow in November; you can get a copy here.